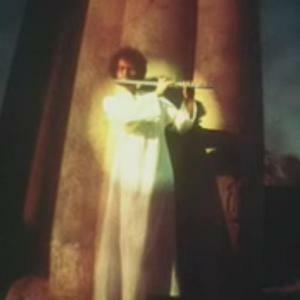 http://www.innerpeacemusic.com/ Steve Halpern is the original new age artist, in the most accurate sense of the term. In 1975 he released Spectrum Suite, his first album of music specifically designed for relaxation and healing. Before that, Halpern had been immersed in the New York City jazz scene as a trumpeter and guitarist. His disgust at the adverse effects of life in the fast lane were accentuated by a move to California, where he perfected his idea of "anti-frantic alternative" music. Steve Halpern is the original new age artist, in the most accurate sense of the term. In 1975 he released Spectrum Suite, his first album of music specifically designed for relaxation and healing. Before that, Halpern had been immersed in the New York City jazz scene as a trumpeter and guitarist. His disgust at the adverse effects of life in the fast lane were accentuated by a move to California, where he perfected his idea of "anti-frantic alternative" music. Based partly on his metaphysical beliefs and partly on more solid scientific research into the effects of sound on the human body, he came to the conclusion that the Western foundation of tension and release in music couldn't by nature provide listeners with relief from stress. He decided the answer was to create music that "didn't go anywhere" in the traditional sense but instead immersed the listener in a positive atmosphere conducive to recuperative and transcendental experiences. Halpern created music that was centered largely around cascades of major-key arpeggios improvised at the electric piano, and he added generous helpings of reverb to create a spacey, other-worldly feeling. He took a certain amount of inspiration from oriental classical music and looked into the ceremonial, magical, and healing aspects of sound used by ancient cultures. While some of his ideas take on the pseudo-science pallor of new-age mysticism, Halpern's importance as one of the true fathers of modern meditational and healing forms of music cannot be overemphasized. He has released over 50 instrumental and guided-meditation recordings, some of which are better than others. He has also written two books on his theories: -Tuning the Human Instrument and -Sound Health.